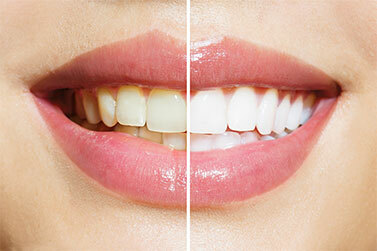 Whiter teeth appear healthier, and who wouldn’t want to display their very best smile? It’s easier to achieve than you might think. We know there are hundreds of over-the-counter options out there to choose from, but for the best, longest-lasting, brightest smile, you need a professionally supervised bleaching process. Dr. Leach offers custom whitening trays created in our own lab. After the initial consultation, where a mold is taken of your teeth, we design clear, lightweight, comfortable trays that fit your teeth very precisely. This holds the whitening materials in place during treatment. We provide you with all of the supplies you’ll need, as well as instructions to complete the process at home. This method is both safe and effective. Most patients achieve their desired results within 1 - 14 days. If you’d like to have brilliantly white teeth in a matter of days, call (423) 586-3432 to schedule an appointment today!